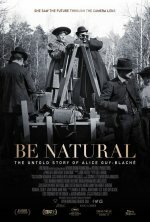 Alice Guy-Blaché was a true pioneer who got into the movie business at the very beginning—in 1894, at the age of 21. Two years later, she was made head of production at Gaumont and started directing films. She and her husband moved to the United S... show all tates, and she founded her own company, Solax, in 1910—they started in Flushing and moved to a bigger facility in Fort Lee, New Jersey. But by 1919, Guy-Blaché’s career came to an abrupt end, and she and the 1000 films that bore her name were largely forgotten.